Starting in Riyam, you are now making a geological journey to the bottom of the ocean. Along the way are stunning views of Mutrah Port and the Gulf of Oman. This track was once the main land route between Old Mutrah and the port. It is believed to have been used by miners of the Majan civilization as early as 5,000 years ago. 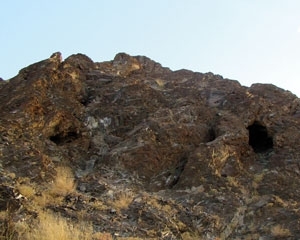 This geotrek takes you through a large outcrop of igneous rock known as ophiolite. The ophiolite was formed from molten rock that came from deep undersea volcanoes. It is the best exposed ophiolite sequence in the world, significant both geologically and commercially. Movement of the earth’s continental plates over millions of years has transported the rock and placed it onto Oman’s landmass in a process called obduction.